Rated Cigar of the year by Cigar Aficionado, this Nicaraguan Puro is the result of Manuel Quesada and Nestor Plascencia’s expert blending with an oily Colorado wrapper and Nicaraguan binder/filler for a medium to full bodied yet complex smoke. The Casa Magna Robusto sports a hearty taste in a small package. Robust in flavor, the cigar itself starts off with a little pepper, cedar and spiciness before the mid point where dark coffee flavors take over. Full flavors hit one from the start and continue until the last third where the cigar mellows into sweeter coffee and cedar notes. 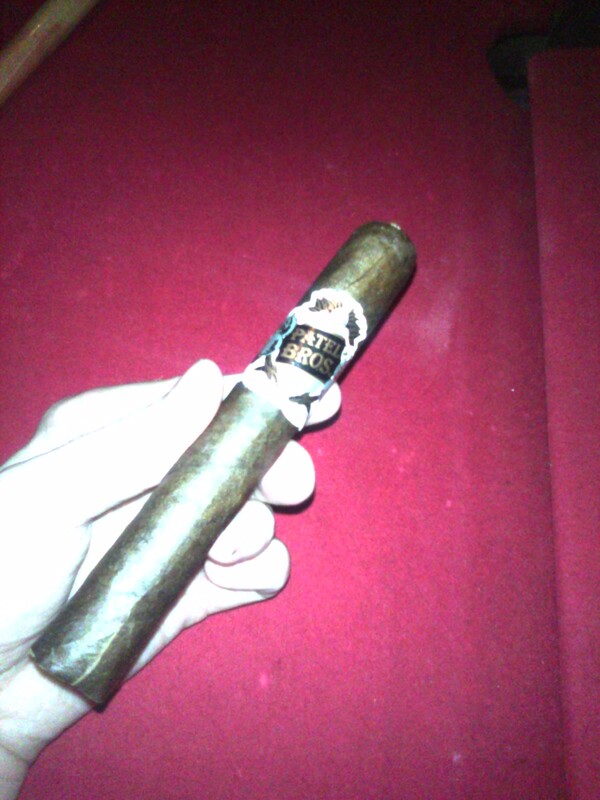 It’s a well constructed Robusto that burns evenly and has a light grey ash that held on for quite some time. I paired this with water but couuld see a light bourbon or whiskey to match it quite nicely. I have to say I really enjoyed the cedar notes but found them on the back end of the palate, rather than the dark coffee notes that were more forthcoming.